“The data released by Rightmove suggests that, whilst asking prices are still 2.3% up on average against the same time last year, buyers are now very much sticking to their budgets, with very little ‘wiggle room’. It’s likely that this is due to stricter lending criteria, and suggests that buyers are getting their ducks in a row financially before they start their property search in terms of applying for their mortgage to understand how much they can spend, meaning that agents are now finding it harder to ‘upsell’ properties and encourage applicants to look at properties that are out of their price range in order to encourage them to make an offer. Therefore, in order to sell, vendors are having to price realistically. 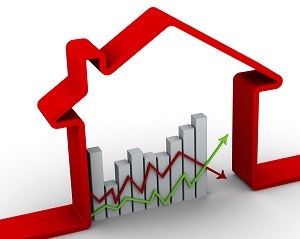 It’s interesting to note that Rightmove suggests that even overpricing a property by 5% could have a detrimental effect on the time it takes to sell a property in certain areas, which will no doubt ensure that agents are having to value far more accurately at the outset in order to ensure that vendor expectations are set at an achievable level.